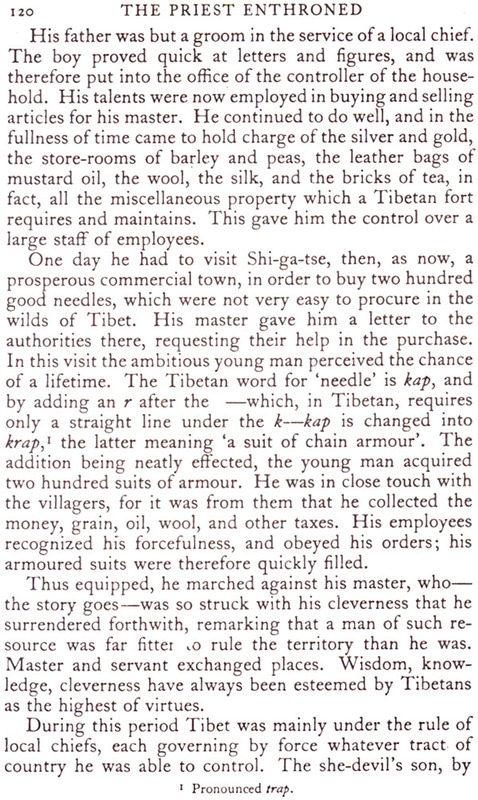 This Volume forms a sequel to the author's Tibet: Past and Present and The People of Tibet. Like them, it is in part an historical account, in part a description of conditions in the earlier part of the twentieth century. Sir Charles Bell traces the history of the introduction of Buddhism of the resistance of the developments which have taken place within Tibetan Buddhism itself. The latter part of the book deals more particularly with the religious organization, with life in the great monasteries and with the religious customs and beliefs of the people. The illustrations are from the author's own photographs taken in Tibet, Sikkim and Bhutan. SIR CHARLES BELL was born in Calcutta in 1870 and educated in England at Winchester and Oxford. 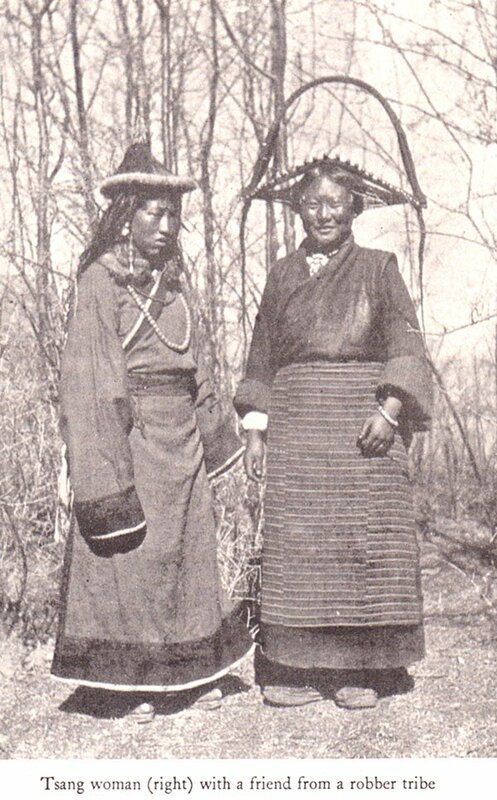 He joined the Indian Civil Service in 1891 and was transferred to Kalimpong, Sikkim in 1901, where he began his lifelong relationship with Tibet. He twice acted as Political Officer for Sikkim, Bhutan and Tibet and eventually held that post for ten years before retiring in 1919. He was recalled to duty, however, and in 1920 headed a successful diplomatic mission to Lhasa. He wrote several books about Tibet, her people and her language; few since, and certainly none before, have written so well about Tibet. This book attempts to describe firstly how Buddhism in a late and strange from came to Tibet and was there developed to suit the needs of an exceptional country and people and secondly how for several centuries and down to the present day it dominates the Tibetan nation. About three fourths of the material set out in these pages is new i.e. valuable books and manuscripts given me by the Dalai Lama the Pan chen Rim-po-che and others as well as conversations with leading Tibetans in Lhasa and elsewhere. So many are inner workings of its Tibetan adaptation that the subject may perhaps prove acceptable to a circle of readers. I write Tibetan names and other words as they are pronounced in the central province round Lhasa. Tibetan spelling does not represent the modern pronunciation in any part of Tibet. But for a few of the names &c the more important ones I have entered the spelling in Tibetan script in the footnotes. There are several competing systems of transliteration into the roman character but none are quite satisfactory and students of things Tibetan may therefore prefer to have these words in Tibetan itself. The illustrations except one are my own. This one the frontispiece I owe to his holiness the pan chen Lama himself. My indebtedness in other fields is I hope made clear in the text.